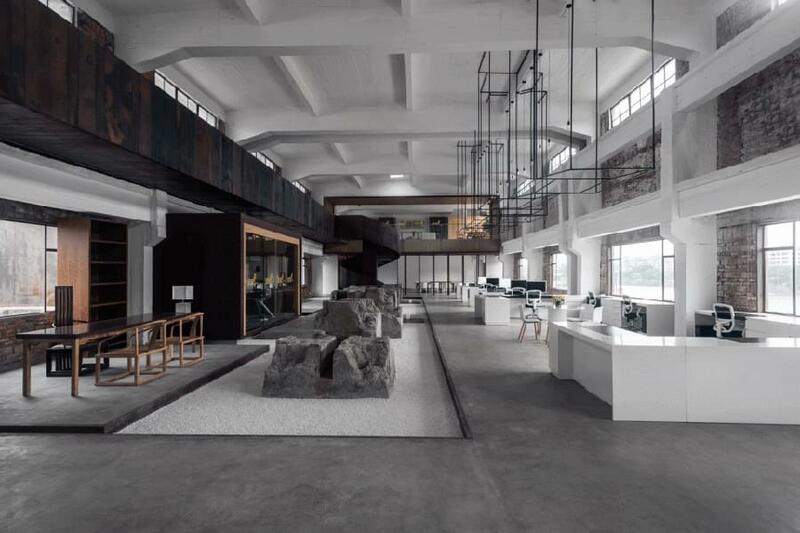 Even in the best of circumstances, transforming a large former factory into a functional and appealing office space is a tough prospect. We have all seen the ones that try too hard to be cool and edgy, use every trick in the book and eventually end up at an incoherent and confusing dead end. 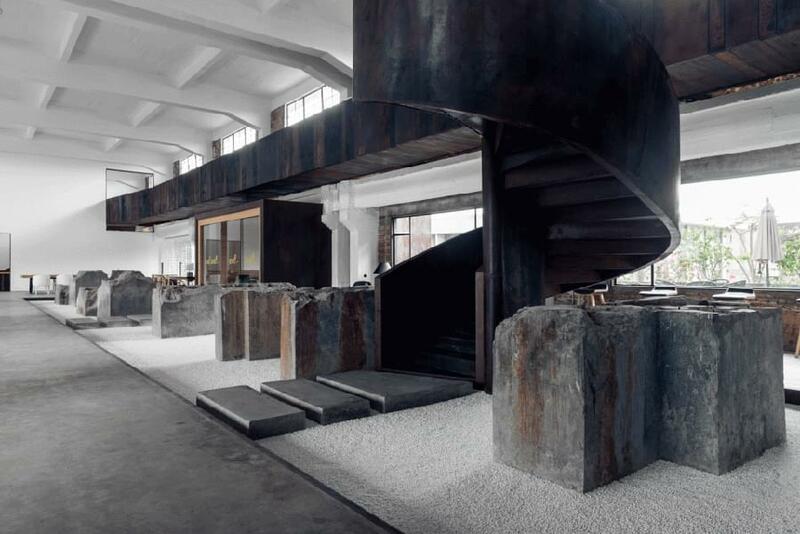 The office of the 1978 Cultural Creative Park in Guangzhou, Guangdong province, China, is not one of these. Instead, the designers at LAD (Lee Architectural & Engineering Design Group) found a balance between preserving the feel of the old and meeting the needs of a modern office. The 1,577 square-metre (approx. 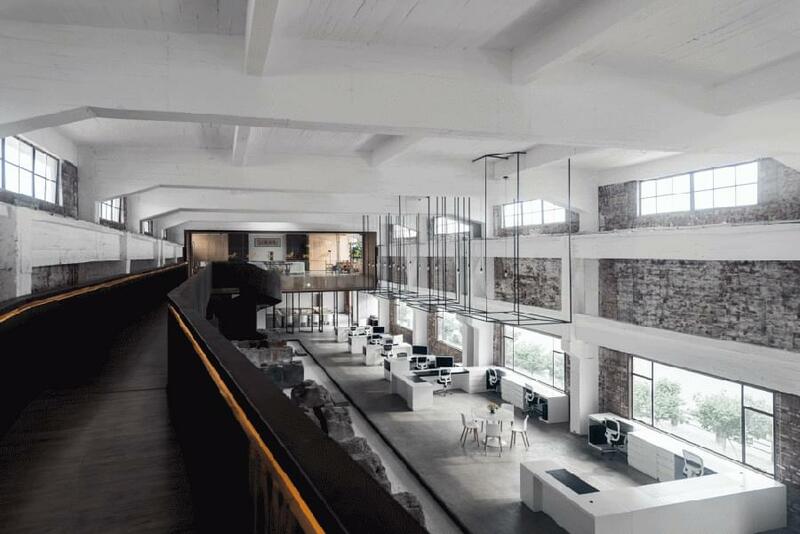 17,000 sq.ft) former paper-making factory is now an appealing open-concept hub of offices. 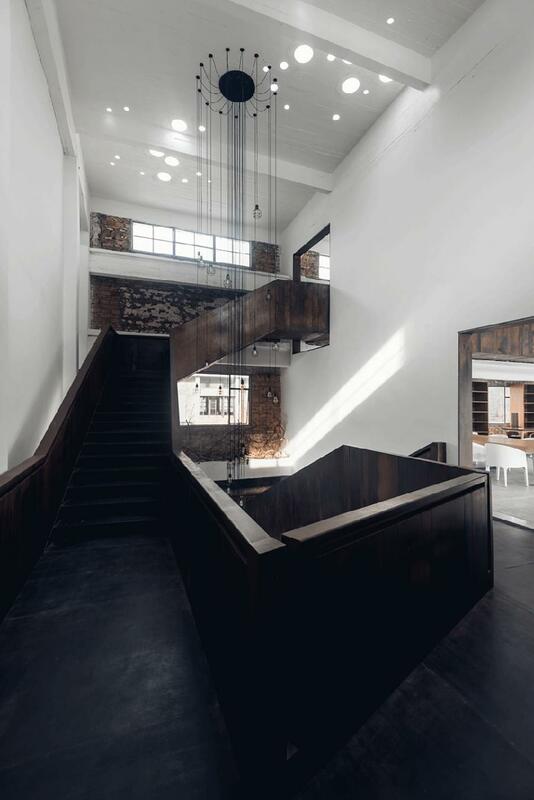 The white expanse of new walls is broken up by the various textures of former walls and ceiling, and by the dark staircase that starts as a friendly curving swoop, zig-zags up and then forms a bridge-like hallway over the lower level. 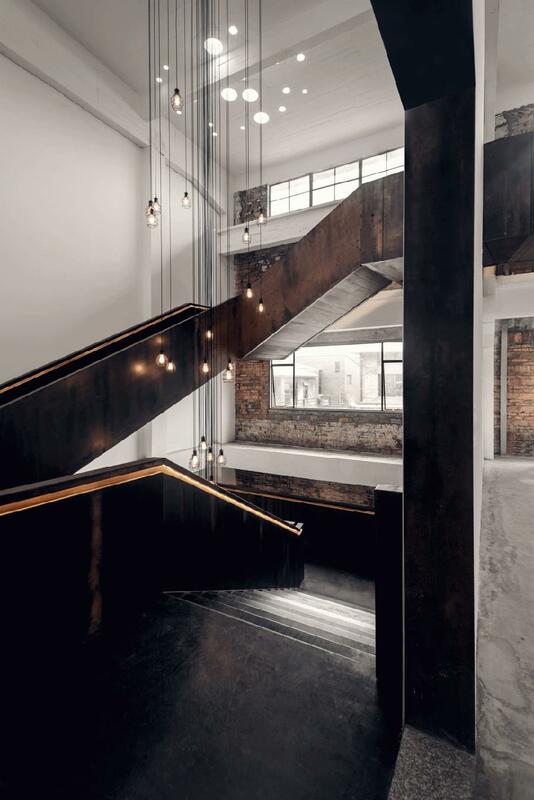 Details, such as the dark metal cages and industrial-style lighting fixtures hanging from the ceiling, and the massive stone slabs lined-up on the ground floor evoke the feel of industry and past times.